Bookworm Lisa~: Heart of the West by Carolyn Twede Frank ~ Blog tour with a giveaway! Heart of the West by Carolyn Twede Frank ~ Blog tour with a giveaway! Book Description: Independent-minded women are considered highly unsuitable in Kate Donahue’s wealthy Long Island society. Yes, Kate would lead a proper life should she marry, but her dream of practicing medicine would surely be thwarted by her domineering fiancé. To follow her dream, she must take dramatic measures. So when she reads a newspaper ad seeking a qualified small-town physician, Kate embarks on a new life in the Wild West. 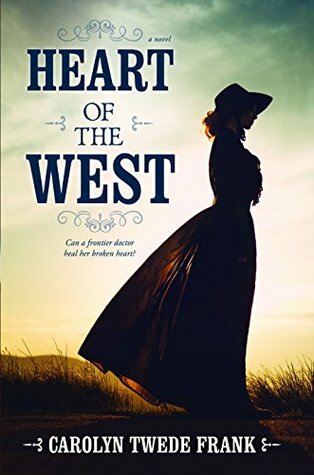 Upon her arrival in the rugged settlement of Craig, Colorado, Kate is disappointed to discover that even in the West, no one wants a woman doctor. As she struggles to establish her practice, she is kept busy fending off the unwanted attentions of a local rancher, a man unnervingly reminiscent of the ex-fiancé she left behind in New York. Romantic entanglements are the last thing on Kate’s mind. That is, until she meets Lucas McCurdy, an Irish immigrant with whom she feels an undeniable connection. But when their relationship inflames a dangerous land battle, Kate and Lucas find themselves defenseless in a lawless town—a perilous position that may cost them everything. My thoughts: I am awed by women who faced adversity and stuck to their convictions in history. Kate moved to the Western Frontier in the 1800's wanting to follow her passion of being a Doctor. This was not a popular time for a woman to be in the profession. The men were hesitant and defiant to have women outside of the home serving as a wife and mother. This is a fictional book, but gives a glimpse as to what life could have been life for a woman in these circumstances. I love that Kate is strong, smart, and compassionate. She wants to help. She comes to the West from a life a privileged. Her goal is to help those who need her, rather than those who want to use her for her families wealth. Her opposition doesn't come only from the townspeople, but the one's who should encourage her goals, her family. Craig, Colorado has quite the assortment of characters. There were some that I loved from the moment they were introduced, and others that I could have done without. They all add personality to the town. I loved that they weren't all thrown at me at once. It helped me keep better track of where each person belonged in the story. This is a romance. I really liked the character of Lucas. He is a man of integrity. He is helpful and kind. The book has a great voice and pacing. It is clean with kissing. 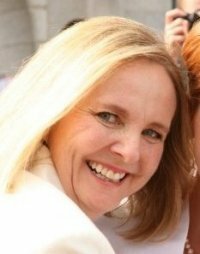 About the Author: (Taken from Goodreads) About my writing: I don't like to write candy for the brain. But I do like to try to make my books not only fulfilling, but entertaining. Candy is nice, but a meal of meat, potatoes, and veges can leave you more satisfied. My books give the reader a good taste of history and/or science along with a dash of mystery folded into the story. About me: I've always loved writing, but haven't gotten serious until the past seven years. When I'm not writing, I like to garden, sew, fix up old houses, or anything else creative. My favorite movies are ones about history.